Welcome to the James Family Archives - a repository of historical, archeological and genealogical information pertaining to the family of David James (circa 1660-1739) and Margaret Mortimer of Llandegley and Glascwm parishes in Radnorshire, Wales. This James family left Bristol, England in August of 1682 onboard the sailing ship Bristol Factor captained by Roger Drew and arrived in Upland, present day Philadelphia on October 28, 1682. 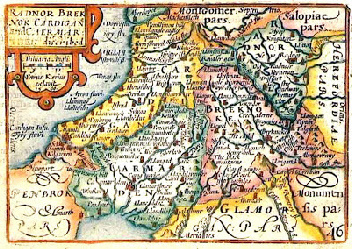 In that same year the James family settled lands in the Pennsylvania wilderness forging Sir William Penn’s vision of a Welsh barony known as the Welsh Tract. 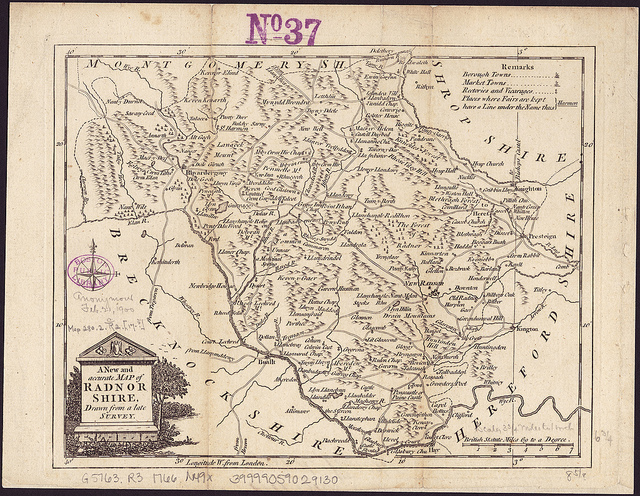 Later the community would come to be known as Radnor Township during the mass migration of Quakers between 1682 and 1684. Under the inspiration and leadership of William Penn and his associate Richard Davies a new nation was forged. 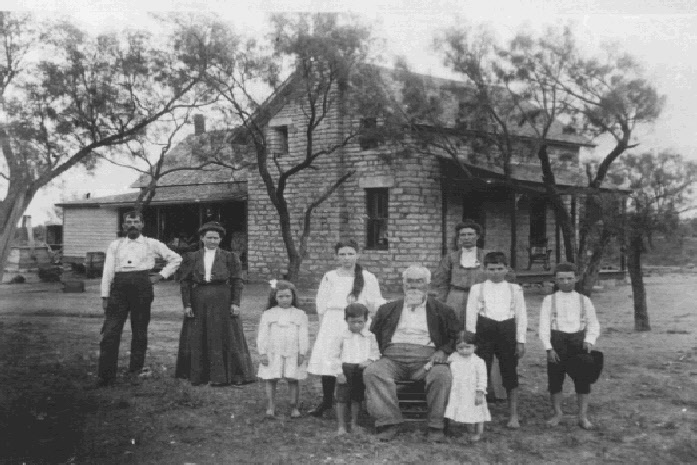 This web site is dedicated to the families and their descendants identified in the Genealogical Section that make up this unique James family. Bushrod Washington James, A.M., M.D. (1836-1903) the great, great, great grandson of David James (circa 1660-1739) of Radnorshire, Wales was an American surgeon, writer and philanthropist who lived in Philadelphia, Pennsylvania. 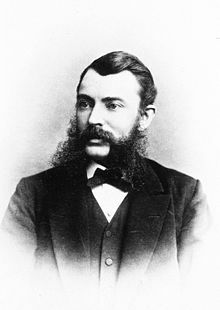 Bushrod graduated from medical school in 1857 and served as president of the Homeopathic Medical Society of Pennsylvania. He bequeathed properties in Philadelphia to establish the Washington James Eye and Ear Institute, a free hospital for the treatment of diseases of the eyes, throat, and lungs. 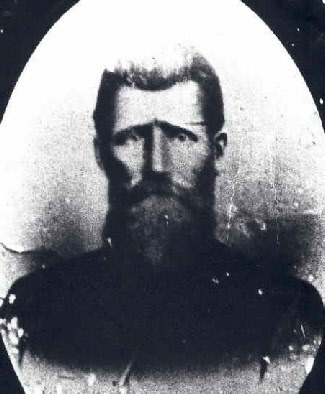 Bushrod was a volunteer surgeon at the battles of Antietam and Gettysburg during the Civil War. He donated three houses, books, jewels and relics to the establishment of a library for children and the elderly that eventually became the Bushrod Branch of the Free Library of Philadelphia. Bushrod also donated land to the city of Oakland, California for the establishment of Bushrod Park and land in Coronado, California for the establishment of the Bushrod Washington James Institute. See Bushrod’s life story in the Library Section under biographies. The James Family of Llandegley and Glascwm Parishes of Radnorshire, Wales (1582-1713) by Larry P. James - An in depth analysis of the work of Archivist R. Morgan of Llandrindod Wells, the Deeds from the Practice of Messieurs. 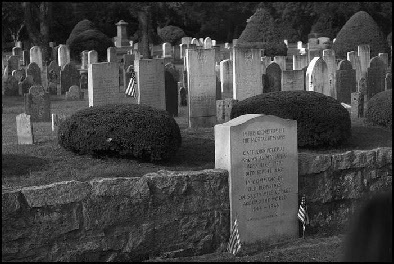 Green and Nixson of Presteigne & Knighton; the Parish Registers of Glascwm, Radnorshire; the last will and testament of David ap Rees ap Jevan Athro; and the work of Joseph Besse’s “Sufferings.” In this essay the James family is traced back five generations prior to the arrival of the immigrant David James in Pennsylvania in 1682. Also explored are the direct paternal ties between the families James, Davies, Rees, Griffith, Lewis and John. Whimble Mountain (Elevation 1800 feet). Read - “What We Have Learned From A Y-DNA Surname Project” by Lee Allyn James of Olympia, Washington published in the July 2010 edition of the Olympia Genealogical Society Quarterly. This is an outstanding essay, the culmination of many years research and scientific analysis. Click on the link above or find Lee’s essay in the Library Section. If you are interested in learning more from Lee about James family DNA research please contact our resident geneticist at: lajames@cco.net. Take a quiet stroll through the well maintained grounds of our very own virtual family cemetery maintained by Marty Rutledge of Loveland, Colorado and hosted by Findagrave.com. To enter, simply click on the image to the right. For internment of James family relatives please contact our sexton at: mottyrutt@hotmail.com and please, mind you step. 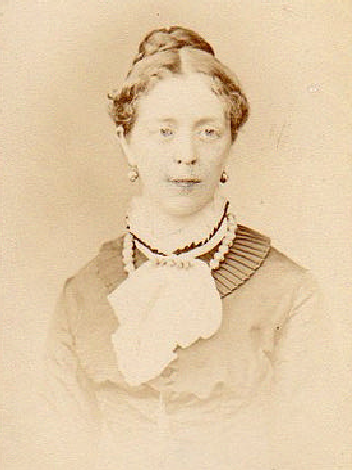 In 1890 Mary Isabella James de Gozzaldi (1852-1935) led the James family on its first documented return to Wales since the family’s arrival in North America in 1682. An experienced traveler and devout family historian, Mary led a team of family members on an expedition back to the original homeland of the James family rooted deep within the inner recesses of rural Radnorshire, Wales. 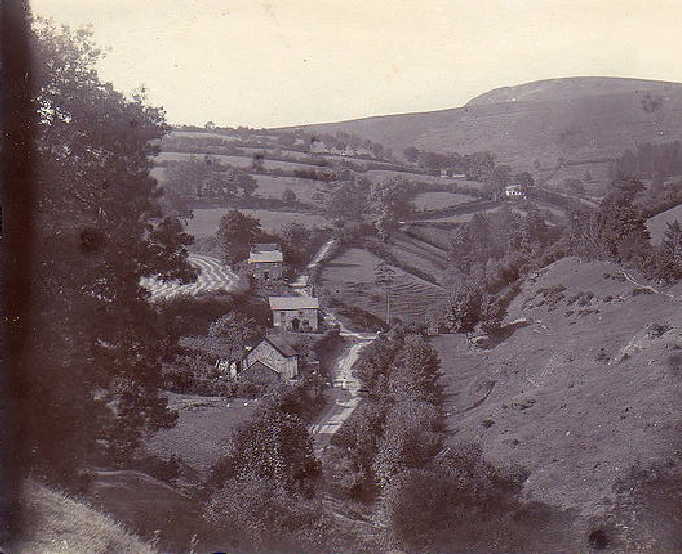 The Gozzaldi Expedition took along with it the most advanced and sophisticated technology of the day and captured amazing images of pre-twentieth century rural Wales including some of the rarest photographs ever taken of pre-1900 Radnorshire. Her priceless collection of photographic images taken when the technology was in its infancy are now safely kept at the Brinkler Library of the Cambridge Historical Society in Cambridge, Massachusetts. Now, for the first time ever, these priceless photographs taken more than 100 years ago have been assembled for review by the public and the James family at large with full historical analysis and pinpoint geographic descriptions thanks to Google Earth. Prepare yourself for a leap back in time as the James Family Archives proudly presents, the Gozzaldi Expedition of 1890! 04/07/2019 - Children of William Elias James (1823-1881) and Martha (Emma) Gains (1828-1912) added to Genealogy Section under Seventh Generation. 04/07/2019 - Children of Clarence Burton James (1896- 1955) & Maude Arvazeeny Reneau (1904–1998) added to Genealogy Section under Ninth Generation. 04/07/2019 - Children of William Amos James (1860-1883) & Marthey Melisey Culigan (1868-1925) added to Genealogy Section under Eighth Generation. 03/17/2019: Children of David Sylvester James (1850-1909) & Margaret Ann Shively (1858-1921) added to Genealogy Section under Seventh Generation. 03/10/2019: Children of Children of Charles Rogers James (1844-1906) & Tabitha Shields Morton (1844-1919) added to Genealogy Section under Seventh Generation. 03/04/2019: Children of Claude Hurlburt James (1885-1969) & Rhoda C. Edmunds / Carrie J. Nichols (1888-1977) added to Genealogy Section under Eighth Generation. 02/28/2019: Children of Jesse Jesse K. James (1814-1896) & Mary Harvey (1813-?) updated in Genealogy Section under Sixth Generation. 02/23/2019: Children of John Vada James (1864-1943) & Jonathon Calhoun Clement (1859-1946) added to Genealogy Section under Seventh Generation. 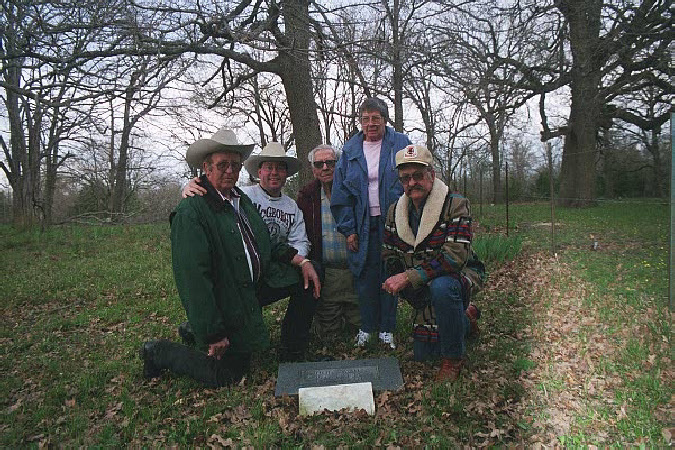 02/10/2019: Children of Clifford Custer James (1925-2006) & Elizabeth Sharpe (1933-1990) added to Genealogy Section under Tenth Generation. 02/10/2019: Children of Eugene Edgar James, Jr. (1892-1963) and Celia Rosser (1895-1958) added to Genealogy Section under Ninth Generation. 02/10/2019: Children of Alice Mary James (1902-1967) and Mathew Albert Elson (1896-1971) added to Genealogy Section under Ninth Generation. 02/01/2019: Children of Ira James (1872-1947) and Jennie Garrett (1886–1952) added to Genealogy Section under Eighth Generation. 01/31/2019: Children of Israel B. James (1850-1924) and Elizabeth Ann Capehart (1844–1933) added to Genealogy Section under Seventh Generation. 12/03/2018: Children of Israel James (1814-1896) and Lydia Ann Harrison (1814-1902) added to Genealogy Section under Sixth Generation. 04/30/2018: Children of James W. James (1837-1897) and Jenetta H. West (1842-) added to Genealogy Section under Seventh Generation. 04/03/2018: Children of Dora Lucille James (1893-1965) and Curgus Earnie Malone (1891-1954) added to Genealogy Section under Ninth Generation. 04/30/2018: Children of Thomas Enoch James (1866-1954) and Jennie Burton James (1851-1953) added to Genealogy Section under Eighth Generation. 04/25/2018: Children of Isaac James (1797-1880) and Elizabeth C. (E.) (1803-1860) added to Genealogy Section under Sixth Generation. 04/25/2018: Children of Elias James (1775-1840) updated in Genealogy Section under Fifth Generation. 04/25/2018: Children of Enoch James (1739-) and Rachel Richards updated in Genealogy Section under Fourth Generation. 04/19/2018: Children of Edward Newman James (1901-1982) and Belle Denton (1902-2001) added to Genealogy Section under Eighth Generation. 04/19/2018: Children of Andrew Jackson James (1844-1902) and Martha Ann Britnell added to Genealogy Section under Seventh Generation. 04/19/2018: Children of Thomas Andrew James (circa 1803-circa 1850) and Mary Polly Bonds (circa 1807-) updated in Genealogy Section under Sixth Generation. An insightful look into the culture and history of the Quaker community of Radnorshire, Wales prior to and following the James family’s immigration to Pennsylvania in 1682. Written in 1999 for Radnorshire Society Transactions, Trevor Mr. Macpherson’s essay identifies three separate James family ancestors including: David James of Llandegley - the Quaker uncle, founding member of the Radnor Meeting at Pales and likely focus of much of the James family’s religious persecution. Also mentioned is David James of Glascwm, the “mariner” and nephew of David James of Llandegley, who crossed the Atlantic to Pennsylvania in August 1682. Margaret James - the Quaker sister of David James the immigrant is also clearly identified. Mr. Macpherson’s unbiased and exemplary description of the rise and subsequent decline of the Quaker movement in Radnorshire from the 17th century through the 19th century provides further insight into the circumstances and early history of the James family of Glascwm and Llandegley. The James Family Archives is proud to present: A Measure of Grace - Quakers in Radnorshire by Trevor Macpherson. In May of 2012 the James Family Archives made direct contact with Barbara James of Wilmington North Carolina, the wife of David Bushrod James, III - a direct lineal descendant of Evan James (1715-1794) of Radnor Township, Pennsylvania and David James (c1660-1739) of Radnorshire, Wales. 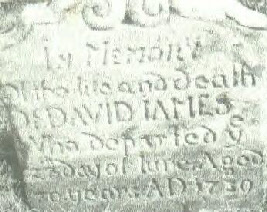 As a result of this connection it was revealed that the original James family founding documents, dating back more than 300 years, as spoken of by Isabella Batchelder James in her 1874 work, “Memorial of Thomas Potts, Junior” were, in fact... still in existence! 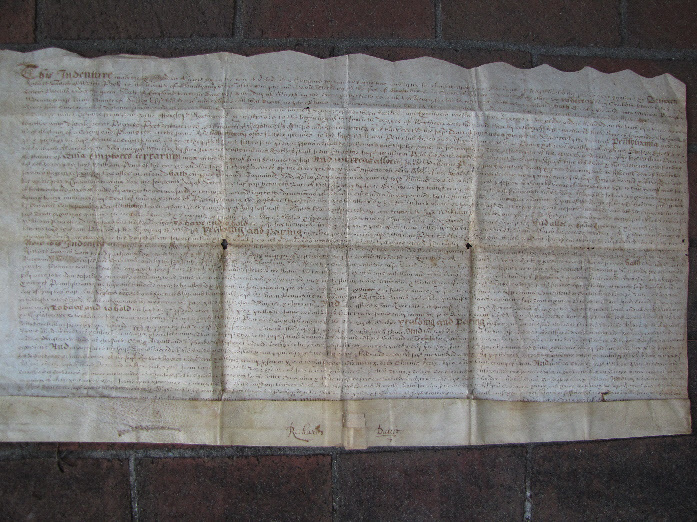 And, amazingly, still in the possession of the James family - handed down nine generations from David James (c1660-1739) to Evan James (1715-1794) to Griffith James (?-1812) to Isaac James (1777-1874) to David James (1805-1873) to William Henry James (1841-1893) to David Bushrod James, Sr. (1874-1933) to David Bushrod James, Jr. (1905-1960) to David Bushrod James, III. 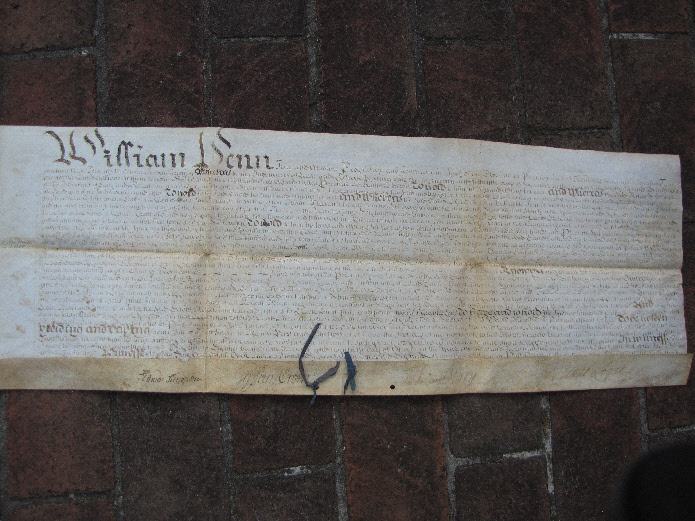 These three historic documents consist of William Penn’s 1682 Grant of Land to Welsh Settlers including David James signed in July of 1682 in Welshpoole, Wales; the 1704 Confirmation of Land in Radnor Township, Pennsylvania to David Meredith by William Penn’s Land Commissioners in Philadelphia; and, the 1718 Indenture for Land in Radnor Township by David Meredith and Rees Prees to David James. All three of these priceless historic documents predate the Declaration of Independence and the Constitution of the United States of America and formally memorialize the acquisition by David James (c1660-1739) of 100 acres of land in Radnor Township, Pennsylvania in 1682 and then an additional adjoining 153 acres of land in Radnor Township, Pennsylvania in 1718. After two years of formal transcription and analysis and nearly 300 years of total obscurity, the James Family Archives is proud to present the James Family Founding Documents. · Edward Mortimer married Catherine Houston in 1658 in Yatesbury, Wiltshire, England. 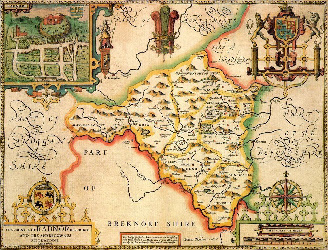 · John Henderson married Janet Bairdie in 1682. · The father of John Henderson was John Henderson born October 17, 1626 at Glasgow, Lanarkshire, Scotland. · John Henderson, Sr. died January 26, 1683 at Fife, Scotland. Here at the Archives we are tremendously excited about this treasure-trove of historical information provided to us by Jeffrey Negus. Not only does this historical information expand our knowledge of the family prior to its immigration to Pennsylvania, it also independently confirms much of the research that has taken place over the past 30 years. With these records we have confirmation that David James of Glascwm and Llandegley, Radnorshire, Wales was the son of Thomas ap James ap David of Llandegley Parish as previously identified in the Records of Mssrs. Green & Nixon. We are also able to now trace the genealogy of David’s wife Margaret Mortimer back to Edward Mortimer (1631-1704) of Wiltshire, England. In November 2017 James Family Researcher Lee Allyn James of Olympia, Washington submitted the latest results of the ongoing James Family Y-DNA Surname Project sponsored by Family Tree DNA. According to Lee, recent DNA tests indicate that Christina Cartwright, the niece of Glenn P. James, is a newly discovered James family cousin. Lee further reports that Glenn P. James’ DNA matches those other members of the James family who have already participated in the 111-marker DNA test. Christina Cartwright has not yet been able to extend her paternal James family line beyond George James, but it is clear that Glenn P. James’s DNA proves he is a member of our James family. The line of Christina Cartwrights’s ancestor George James hails from Ohio. Lee has requested that James family researchers help Christina by looking through their family records to help us find her line’s connection. Below is a chart representing the work accomplished by Lee with the most up to date results of ongoing James family DNA research. When examining the early history of David James (ca 1660-1739) and the James family of Pennsylvania between the years 1682 and 1718 one quickly encounters several questions concerning the family’s early years in the Welsh Tract. 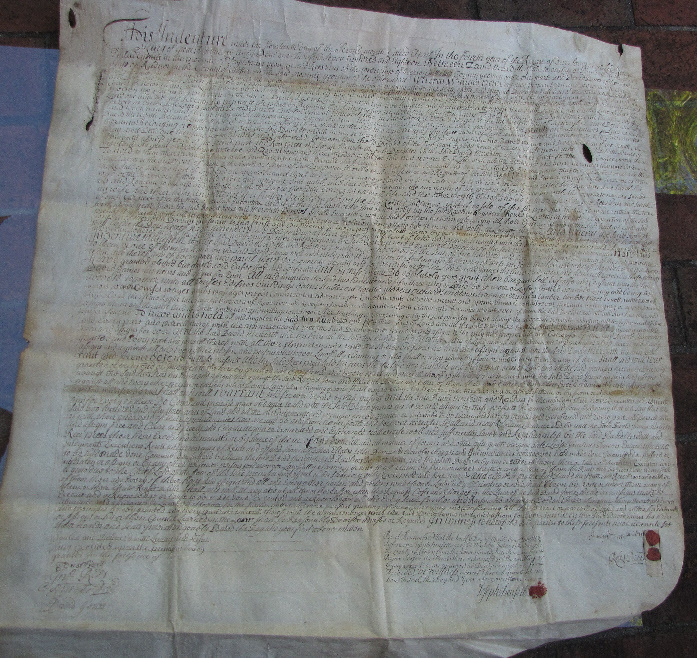 For example, if David James acquired rights in 1682 to the 100 acres of land he would settle in Radnor Township, Pennsylvania through the purchase of an “indenture” from Richard Davies in Welshpool, Wales, why then was he compelled to re-purchase this same land in 1718 from David Meredith at the time he expanded his holdings to 253 acres? Another interesting question is whether or not David James ever occupied the lands in Radnor Township his daughter Mary James, as his executrix, disposed of between 1695 and 1702. And perhaps the most perplexing question of all is why William Penn’s land commissioners would report David James as dead in 1702? Although these questions are not specifically answered in the following essay written by Franklin L. Burns in 1982 for the benefit of the Tredyffrin Easttown Historical Society, his analysis of the management and distribution of the lands within the Welsh Tract by William Penn’s land commissioners goes far to help us understand exactly what was going on in the early days of settlement within the Pennsylvania wilderness that came to be known as the Welsh Tract. Mr. Burns analysis of the first three decades within this region clearly demonstrate that many of the first settlers within the colony, especially the Welsh Quakers, quickly found themselves at odds with Penn’s surveyors, land commissioners and the speculators who sought to use their influence to turn a quick profit. Many early settlers found themselves intentionally and deliberately disenfranchised from their lands as well as the communities they sought to establish. 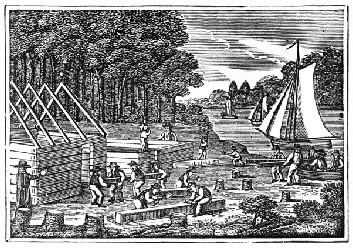 David James and his family were, undoubtedly, Welsh Quakers upon their arrival in Penn’s colony. They were among the very first to settle the wilderness that would be known as the Welsh Tract and that portion later laid out and identified as Radnor Township. As such they were required to contend with the evolving religious, political and financial aspirations of their fellow immigrants as they arrived. The aspirations of David James and his fellow Welsh Quakers were not always the same as the land commissioners William Penn left behind to manage his colony after his departure in 1684. As Mr. Burns’ article vividly describes, many of the prejudices and politics of the old world quickly crept into the life of the colonists in Penn’s grand experiment. 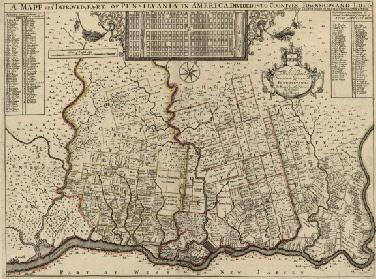 The James Family Archives is pleased to present: The Welsh Tract In Pennsylvania Especially in Regard to the Causal Inclusion Therein of Easttown and Tredyffrin by Franklin Burns. For the first time ever... the “story” of David James (c. 1660-1739) of Radnorshire, Wales is told all the way through, beginning with his arrival in Pennsylvania in 1682, and ending with his passing in 1739. The Colonial History of David James represents more than thirty years of continuous research and the culmination of the combined research efforts of multiple James family historians. Never before have all the obscure and archaic details of the life and times of David James been assembled in one place setting forth the mosaic of the James family’s first generation in North America. The James Family Archives is proud to present “Building America” The Colonial History of David James of Radnorshire Wales. The James-Alspaugh Expedition of 2001. Photo Above: the Lost Line of Enoch, the family of Elias Walter James (1836-1917) of Pogo, Franklin County, Alabama - Back Row left to right: Daniel Johnson James (1868-1998) holding rifle, Joe Guyton James (1878-1902), Nancy Catherine “Kate” James Grissom (1875-1938), Naomi Samantha “Dobe” James George (1880-1933), Marthie Melisey “Mattie” James Culligan, “Lula” James Thomas, Jennie Burton James (Enoch James’s daughter), Lula James (nee Grissom). Front Row left to right: Modena Alice “Dena” James (1883-1969), Elias holding unidentified grandson, Cynthia Richardson, Cynthia (behind), Nannie, Amos James holding Elmer, Letha James (back), Mollie James (front), Elias “Shug” James, Thomas Enoch “Tom” James holding Floy James, Edna James, John James holding Myrtle James, Lillie James and Bertha James. People in the photograph were identified by Joe Clark James (1896-1985), son of “Ab” Alfred Clark James; son of Elias and Cynthia but not pictured in the photo. 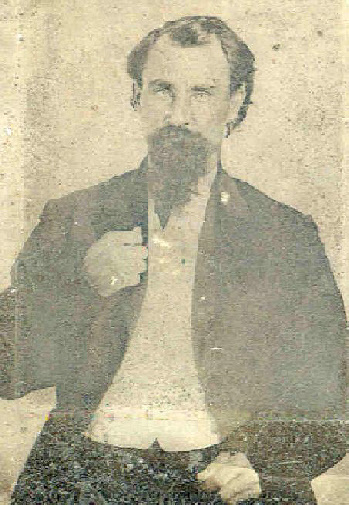 Elias James fought as part of the valiant Company “E” of the 4th Alabama “Roddey’s” Calvary, CSA in the War of Northern Aggression. Elias James married Cynthia McGary Richardson, (b. 4 Mar 1847, d. 18 May 1915). They settled at Pogo, just West of Pleasant Site, where they resided in a log cabin that had a “beautiful cold water spring” and a “milk house where milk was kept cool in the running water”. This is at the base of the Freedom Hills, overlooking the beautiful valley. The buildings are now gone but the James cemetery is still there, hidden in the woods above where the cabin once stood. 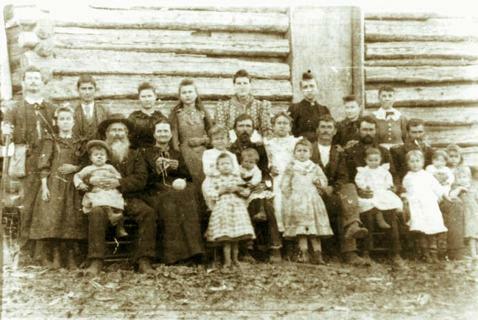 The cabin is the backdrop for the family photograph. There is a legend in the James family of an orphaned son, a rebel, a misfit who was among the first of his family to depart the Colony of Pennsylvania following the family’s arrival in 1682. Where he went has remained a mystery for over 200 years. This orphaned boy, the first son of the first son, has remained something of an enigma in the annals of James family history. Not until the recent advent of genetic research has anyone been able to trace the path of this elusive James family ancestor or his progeny. For more than two centuries our family has been searching for…. Over 11,000 visits and counting!